This is a really fun, engaging project that everyone LOVES. The first time I taught it, I was worried that my boys weren't going to get into to it, because.... well sewing. HOW WRONG I WAS! I think because it is such a hands-on-three-dimensional-real-materials based project, it really grabs the imagination of all types of learners. My creative types loved it. My puzzlers/problem solvers loved it. My type detail oriented kids loved it. My "loosey-goseys" loved it. It is a project that all skill levels will be successful with. 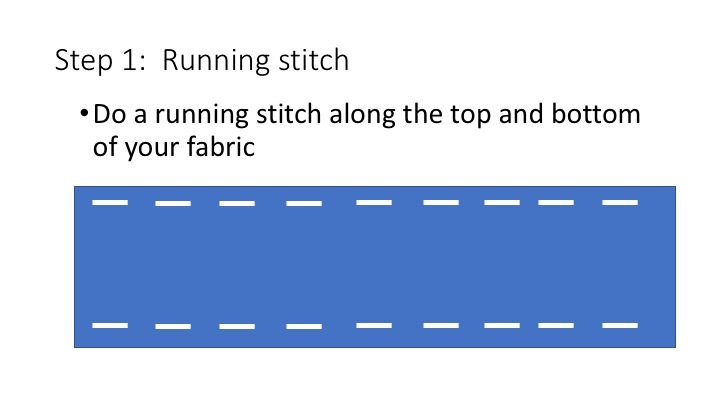 However, it is key to practice a few basic stitches first. We do a practice swatch that everyone turns in for a grade before starting the project. This will get students used to threading the needle, tying knots, storing their work, and the basic stitches of hand sewing. I have students seated in groups, so they naturally help each other if someone runs into trouble while I'm working with another table. LOVE Red Ted Art! Check out this blog for basic hand stitching tutorials and TONS of other fun stuff!